People who own LED TVs can definitely benefit from additional accessories. One such convenient addition is a TV stand. It’s impossible to outline how beneficial and useful the best LED TV stands to watch sports can be. Watching sports is something that the majority of people really enjoy and it could also be a way for them to spend some time with their family. Of course, the TV stand is crucial if you are to fully enjoy this experience. There are quite a few things that these accessories are going to bring as advantages. Most people prefer the TV mount solution because it leaves them with more room underneath. However, there are a lot of homeowners who have the exact opposite of a problem. They don’t have enough hanging space on their wall and therefore need to take advantage of the TV stand. That’s the perfect way to go because the TV stand is going to provide you with options that a simple mounting mechanism can never do. Storage space is a grave problem for almost every person who lives in a tiny apartment. 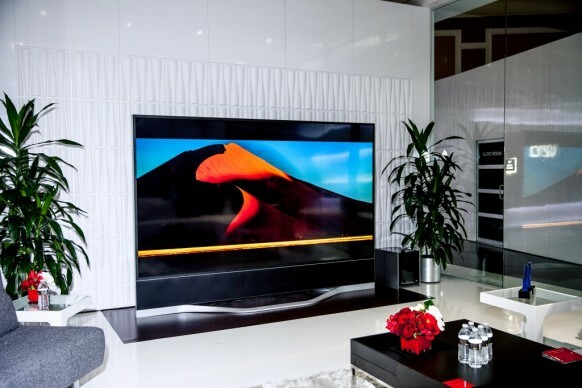 If you want to enjoy technology such as large TV or a home theatre system, you will be in front of a serious problem regarding where to actually put them. Well, the solution is rather easy. Installing a TV stand is going to fix all that for you. You can use it to neatly store your theatre system and to put your TV on it. And here are some more ideas on optimising your room space with a TV stand. Whether you realize it or not, the TV stand is a valid piece of furniture. This means that you can use it in order to complement the overall appeal of your home. This also means that you have to pick carefully. However, if you choose the best LED TV stand to watch sports, it is going to make the perfect addition to your room. Pursuant to the previous section, you can stay assured that the manufacturers have taken care of it. You will quickly find that these stands come in a lot of different styles and designs which are intended to fit properly in any room. However, if you don’t seem to like anything offered in the stores, you can simply have it tailor made for you. This will add a lot of personality to the living room. Unlike using a mounting mechanism, you can additionally arrange items on the TV stand to make your sports watching time more valuable. You can use your imagination and put up symbolic pieces like trophies and souvenirs to make it more attractive.